You make sure your rack and #forklift trucks can handle the pallet size & weight, & essentially you have a relatively dense, easily-accessed storage scheme. The price range for these two products is similar, $30,000- $40,000. 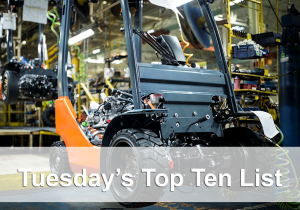 So how do you choose the best lift truck for your operation? For hundreds of years fire has been used as a means of improving our lifestyle. But fire can also be the source of destruction, injuries and fatalities. Since August of 2017, separations — quits, terminations, and layoffs — grew by 26,000 jobs in the warehousing industry. Most of the products in your rental fleet are from manufacturers that are very dependent upon rental stores. Thanks for this interesting blog….